The newly released iTunes 12.2 update includes a number of images of the iPod touch, iPod nano and iPod shuffle in a trio of new colors —a darker blue, a brighter pink, and a new gold color. 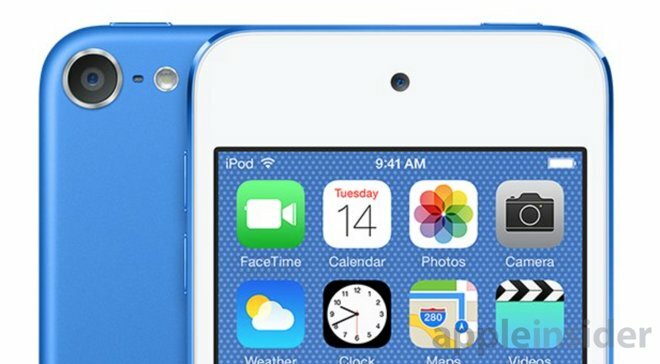 But the images also include another strong hint at a release date, as the iPod touch calendar is set to Tuesday the 14th. The 14th day of July also falls on a Tuesday this year— not likely a coincidence, based on Apple's well-established marketing strategies.